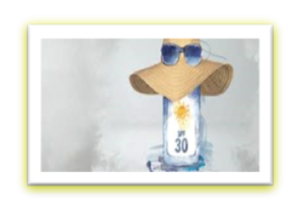 It feels good to bask in the sun; however, too much sun can have a negative impact on your skin. Sun damage does not happen only when you are at the beach; it can happen even when you go for a walk, sit outdoors and have a drink, wait in a queue or in the car. UV rays can penetrate deep into the skin and damage your skin even when the sun does not feel hot. 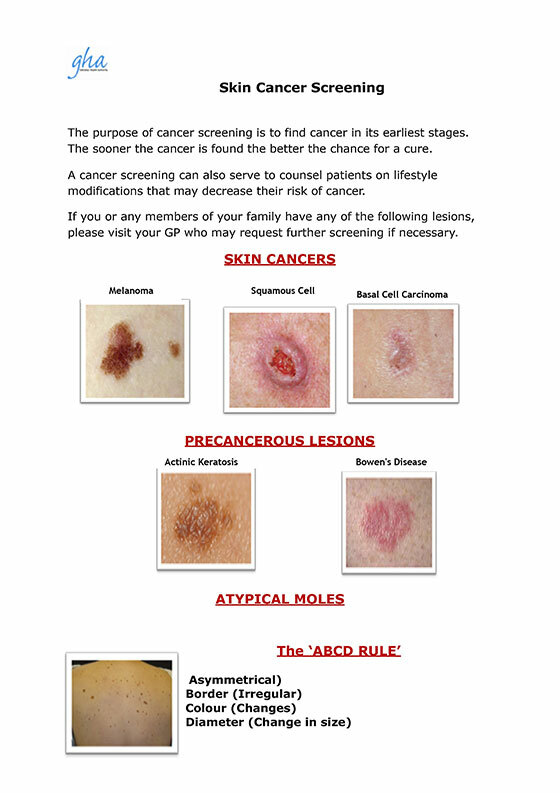 Please note that even sunbeds are not safe, as your skin will still be exposed to harmful UV rays. Getting sunburnt causes the top layers of skin to release chemicals that make blood vessels swell and leak fluids. Skin turns red and feels hot and painful, and severe sunburn can lead to swelling and blisters. Soaking up the sun’s UV rays speeds up the skin’s aging process and puts you at risk of wrinkles, age spots, scaly patches and even skin cancer. After sunburn, the skin peels to get rid of damaged cells and will eventually heal and look healthy, but permanent damage may have been done. Too much sun exposure also results in uneven skin tone with some areas of your skin appearing darker than others. You may also develop tan or brown patches on your cheeks, nose, forehead and chin. 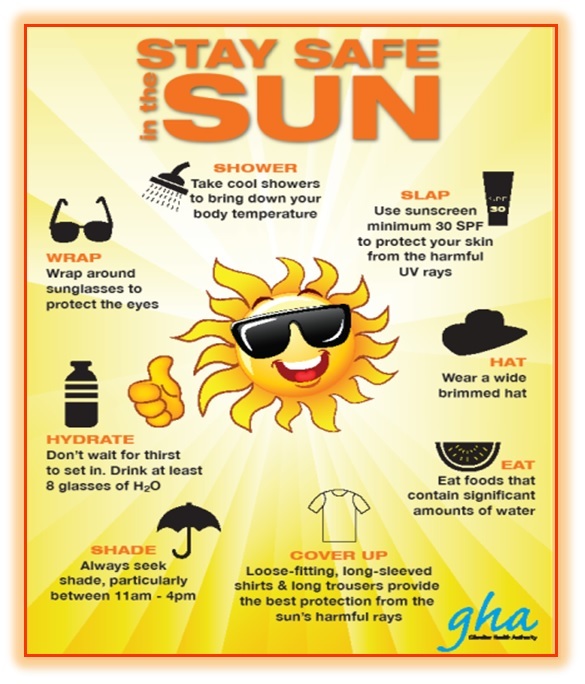 For sun safety campaigns click here.